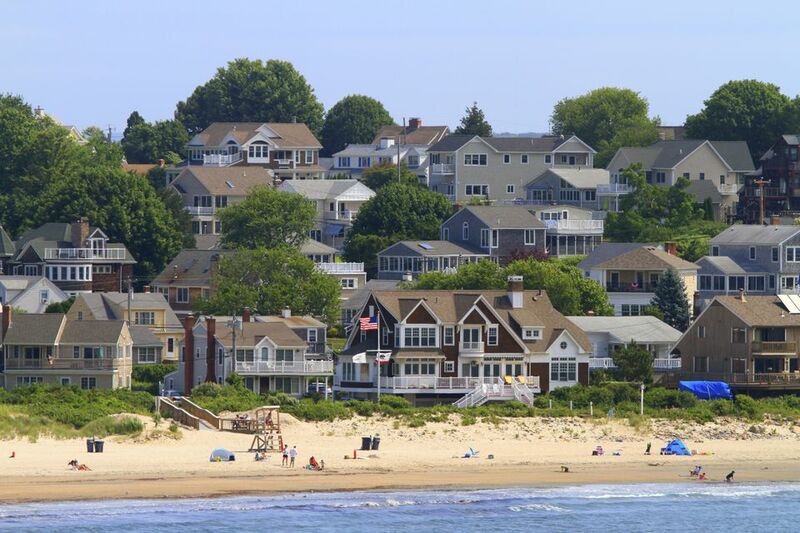 Durkin Cottages is a top of the pack real estate business that is family owned/operated, and is located in the southern Narragansett, Rhode Island area. They are a third generation company, and have been offering their services since 1945. They are a vacation rental site that offers over 150 winter and summer rentals for any size budget. If you're looking to become a permanent resident, there are many homes for sale. You may also use the house you purchased as an investment and list it for rent or sale. Visit the web site to make arrangements for a tour by the company. All of their cottages are within 2 miles of the Roger Wheeler State Beach or the Scarborough State Beach, which makes it a much desired hot spot for summer rentals, as well as winter rentals. A beach pass is not required for beach access, however, if you plan on driving, there is a fee for parking. They have a number of beachfront homes and condominiums as well, located on Sand Hill Cove Beach. You can just step out your door onto your own private section of the breath taking beach! If you prefer a location off the beach a bit, inquire about their homes located on Green Kinyon Driftway. Included on the property are two heated, private, swimming pools. An adult pool and a kiddie pool for the little ones. There is plenty of entertainment for the whole family, such as shuffleboard, basketball courts, tennis courts, and a playground for the kids. Whatever hot spot you choose, you have the option of taking a ferry to Block Island. On the island there are several restaurants, many local shops, and quiet beaches to explore. Bicycles and mopeds can be rented to help you get around, while not missing out on the true beauty of the island. You can rent a home as small as one bedroom, or as big as eight bedrooms. Stoves, refrigerators, cookware, dishes, glasses, toaster, coffee pot and a television will be furnished. Comforters and pillows will also be provided. Tenants are responsible for cleaning agents, trash bags, paper products, toiletries and food. You must call ahead to reserve a cottage, and payment is due at the time you make your the reservation. If your reservation is for two weeks or greater, you will receive a discount, with half being paid up front, and the other half will be due one month before you arrive. You may pay using cash, money order, ACH, or credit card. Visa, MasterCard, American Express, and Discover cards are accepted. You may check in between 3 and 5 p.m., and check out time is 10:00 a.m. The number of people allowed in your rental must fit the guidelines of the terms of occupancy. No large gatherings, such as wedding parties, graduation parties, etc. are allowed. Refunds will not be issued in the case of inclement weather, interrupted utility services, maintenance issues, or early departure. Whether you're in search of that perfect winter or summer get away, or looking to purchase a home/investment property, look no further than Durkin Cottage Realty. Visit their website or give them a call at 401-789-6659. You can also stop in to schedule a tour of properties that are available.